Join the discussion on our forums! Come discuss Necromechanic over in our dedicated Necromechanic discussion topic. If you run two of them on the board at the same time, you dont get extra deathrattles. Just two. 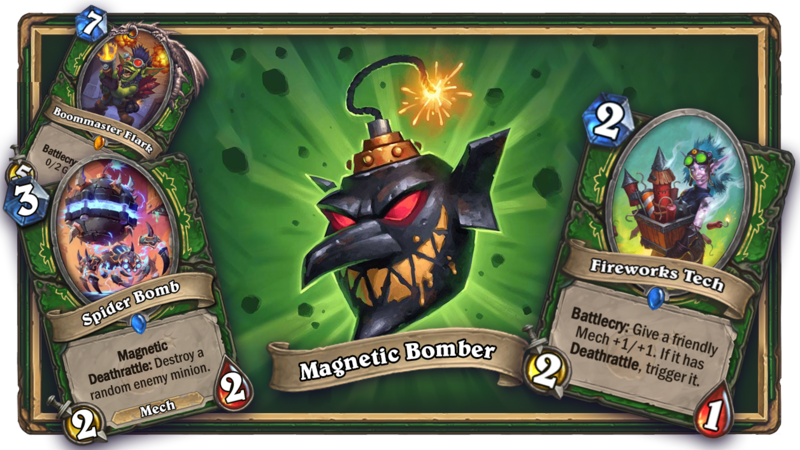 Here's my theorycraft on a Goblin Bomb deck featuring Necromechanic, filled with Magnetic & Mech synergy. Leaning towards building strong boards & combo threats as opposed to being too Deathrattle focussed. ever since that Ben Brode left, the hearthstone team started to powercreep all future expansions. that's sad, and stupid. LOL power creep under ben brode was pretty insane. I love how people like to reinvent facts so it suits their narrative. Deathrattle Hunter now has a card that gives him a large amount of value from his minions. Paired with Houndmaster Shaw and some aoe attacks buffs (Raid Leader, Dire Wolf Alpha), you could get some real value out of your Devilsaur Egg or from a card like Mechanical Whelp. This is really cool! Probably can enable some nasty comboes eventually. It's a Baron Rivendare you can get twice, which is good because there's way more removal now than there was in Naxx so it's necessary. Deathrattle hunter in Wild just got more interesting. 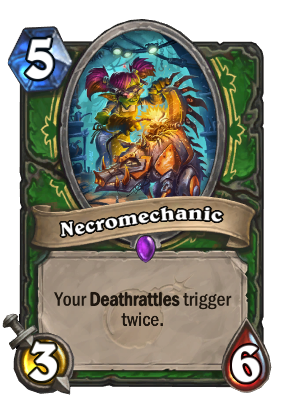 Why is Hunter getting another card that outclasses a Legendary with Deathrattle synergy? 1: I’m not crying, I’m just proposing a simple question. 2: It’s not the cost or stats, it’s the fact you’re allowed 2 of them that bugs me. Ah, I see the issue - it's dead. That'll be $1200.